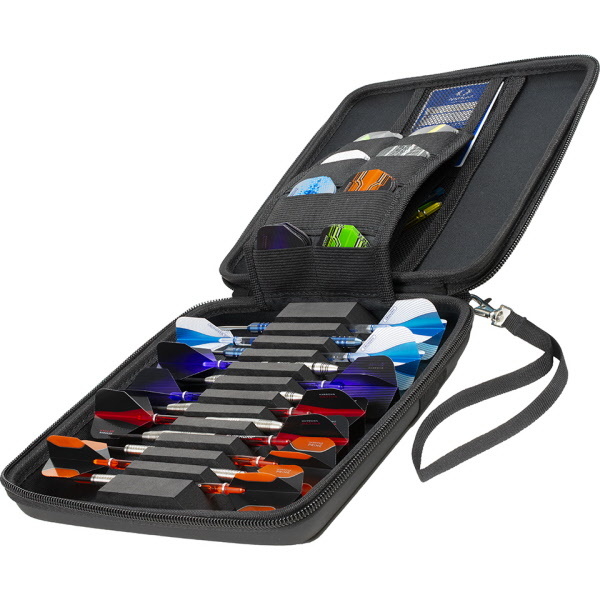 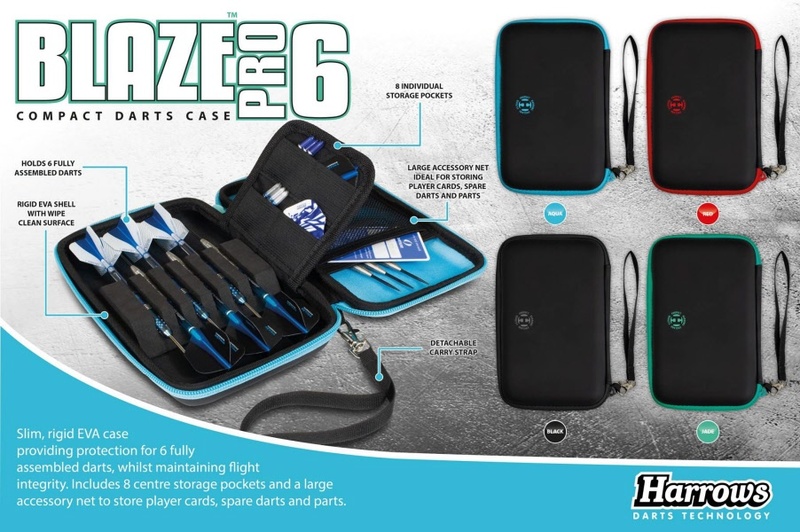 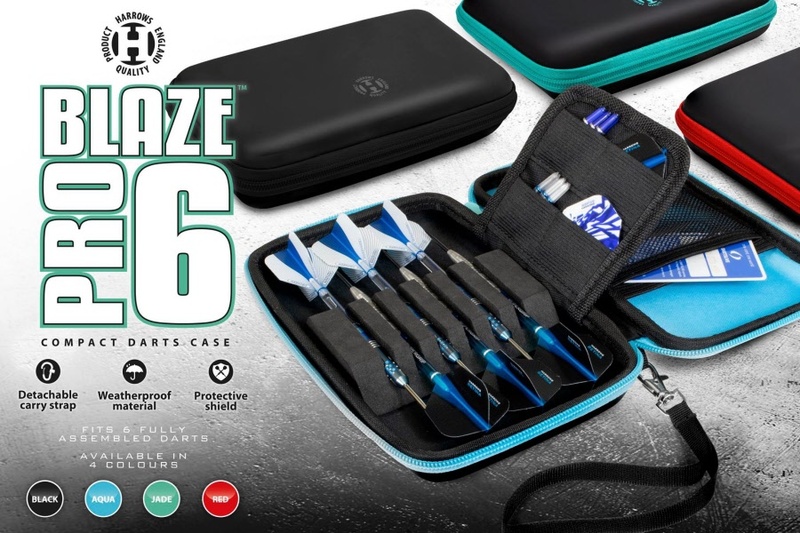 The Blaze Case also features a unique, double accessory net to securely store spare darts, flights and accessories. 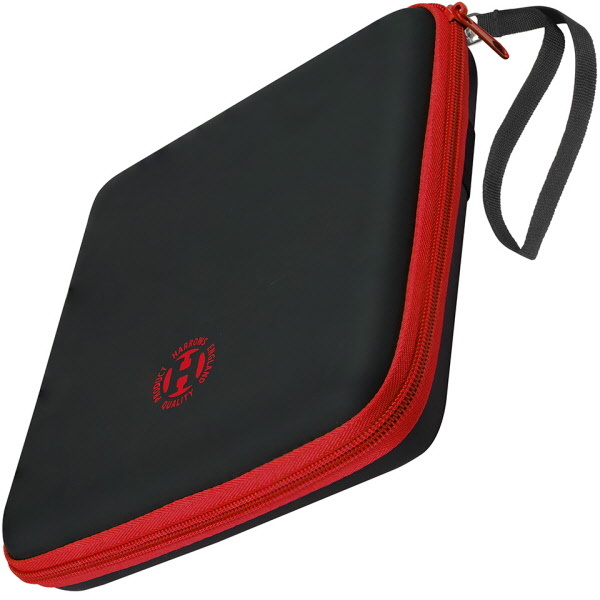 Available in 7 colours – Black, Red, Orange, Green, Yellow, Aqua and Blue. 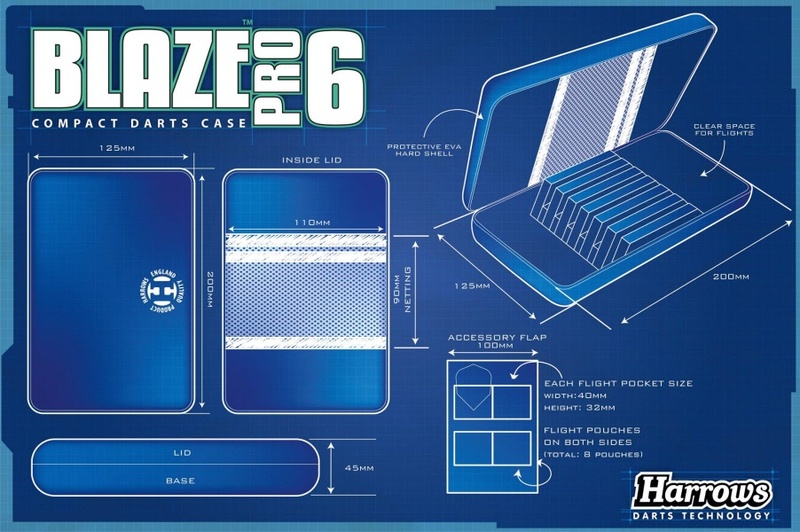 Harrows Royal Case with die cut E.V.A. Darts retention slots. 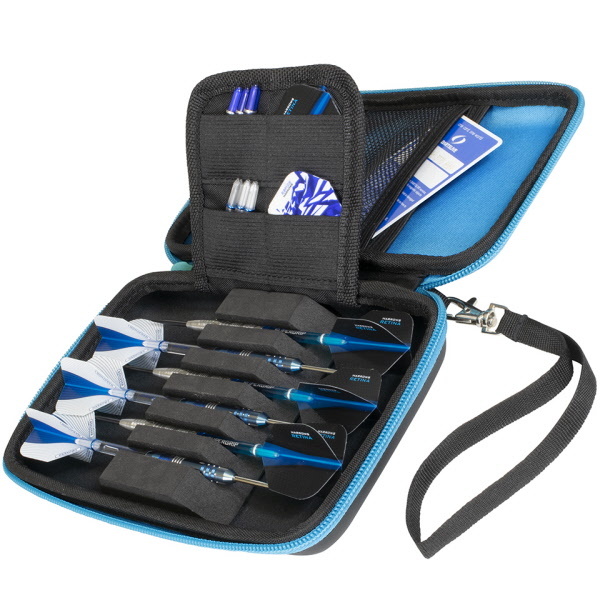 Holds one set of darts. 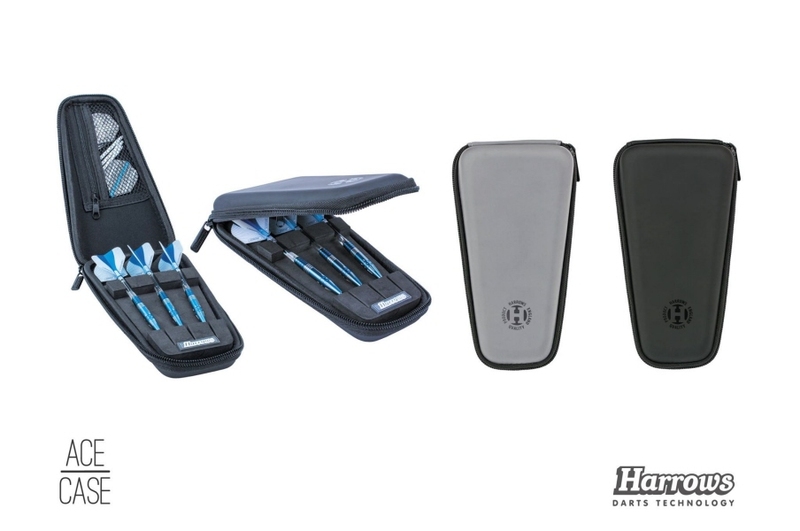 Harrows smart wallet is new to the 2014 line. 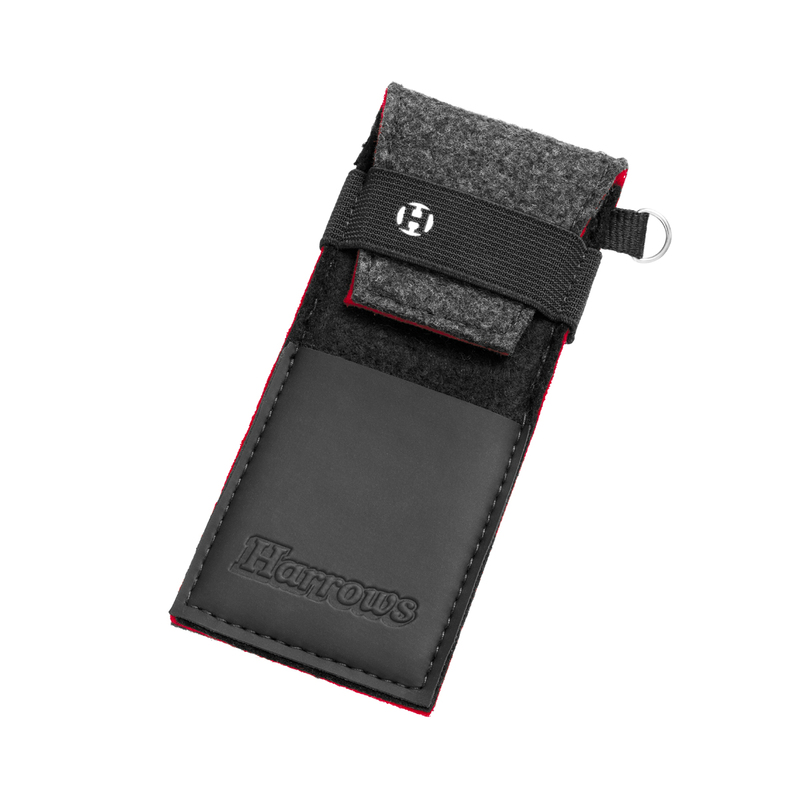 This wallet is made of wool and mixed synthetic fibers for maximum strength and lifespan. 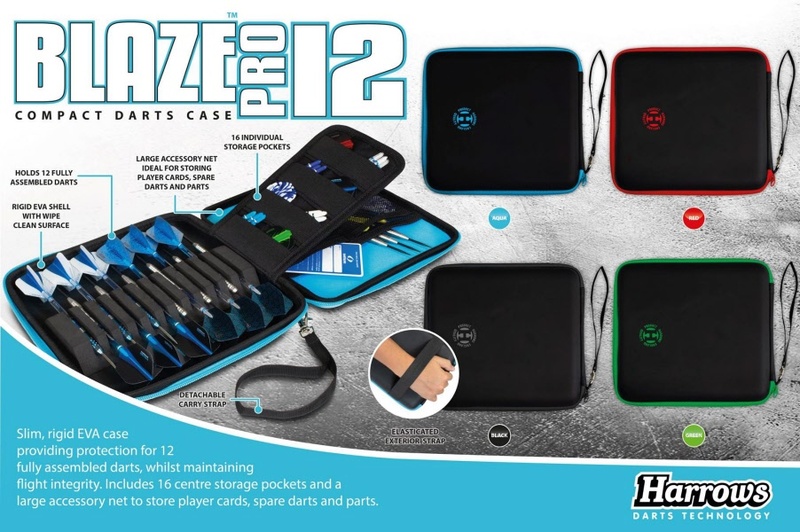 Has a handy pocket for a credit card or DartsLive card. 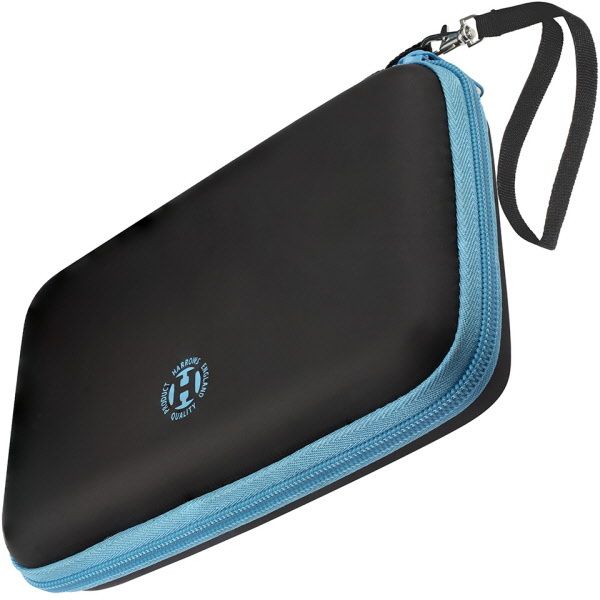 This wallet is soft, light and compact. 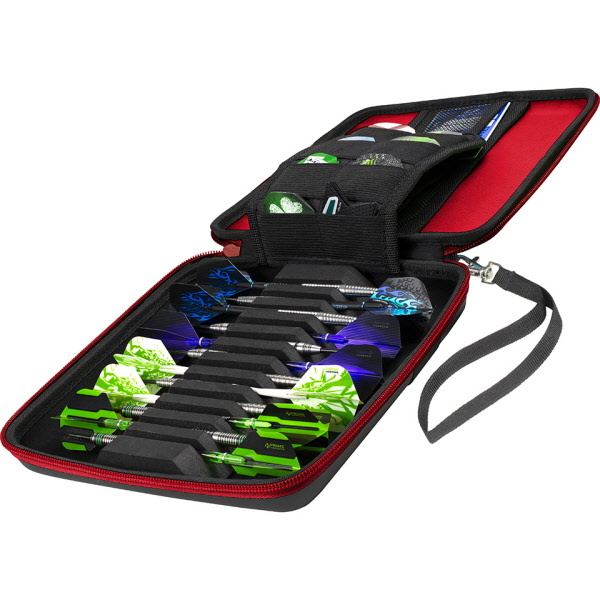 Tough Compact Dart Case. 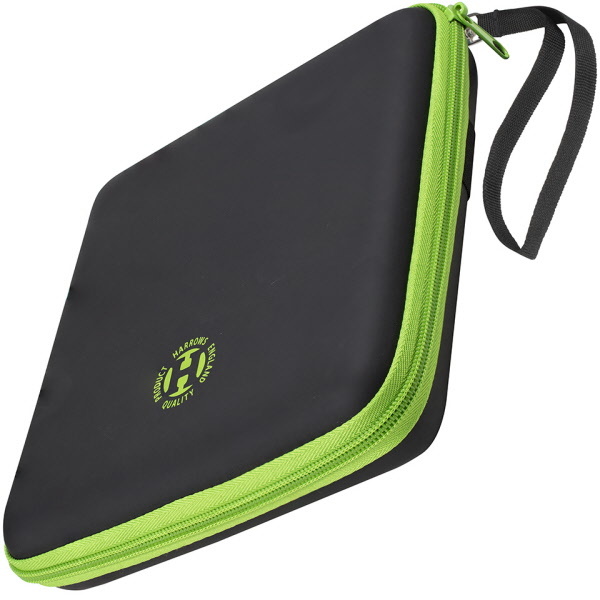 Includes a pocket on the back to store accessories. 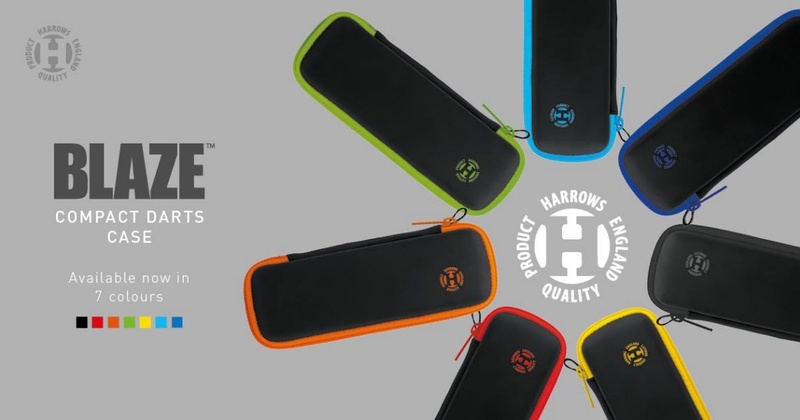 Introducing our new range of colourful and practical Z-series wallets. 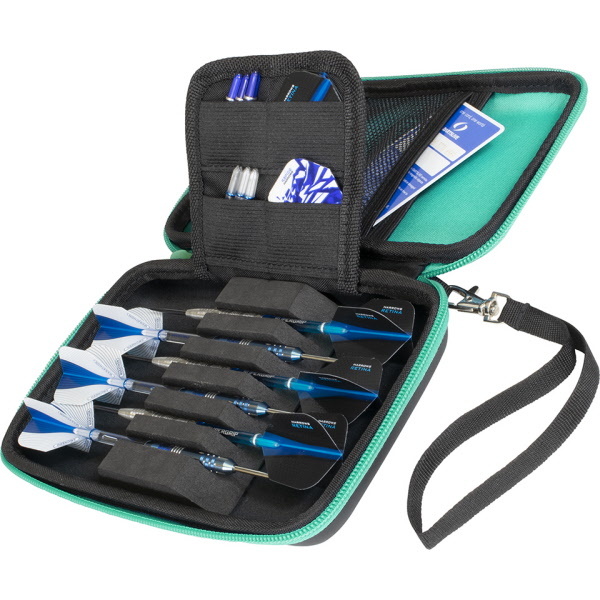 Each one has been designed to hold and protect fully assembled darts. 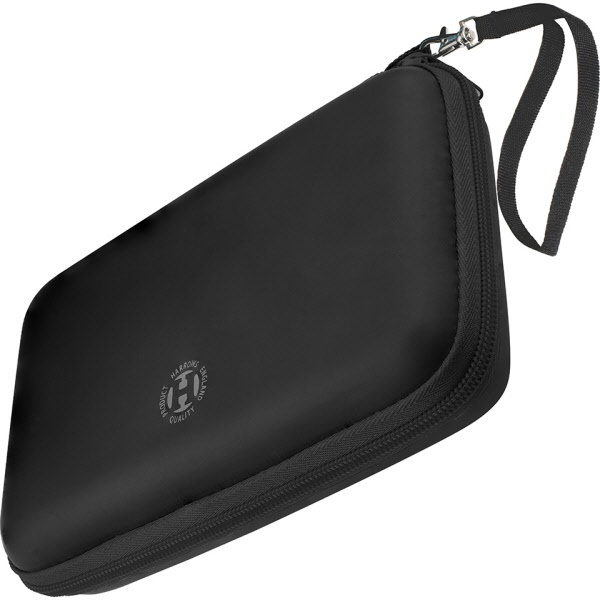 Includes secure pockets for accessories and a carabina clip for belt loop attachment. Dimensions: 190mm x 85mm x30mm. 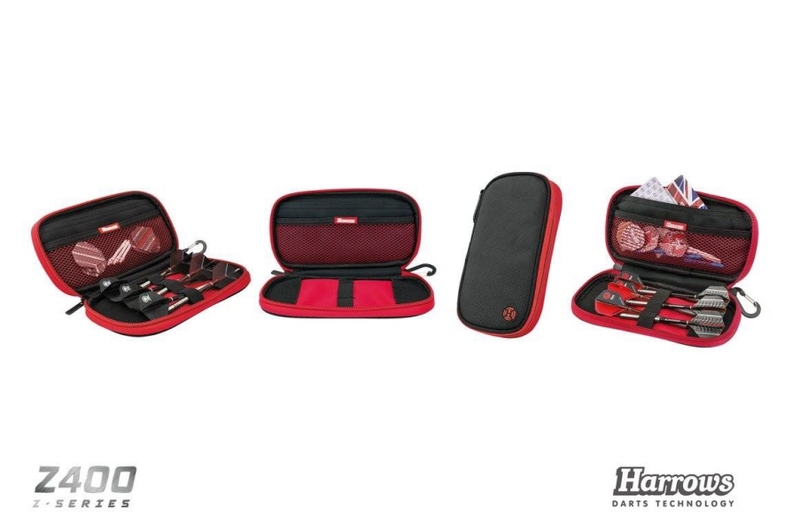 Holds fully assembled darts and features a full width accessories pocket. 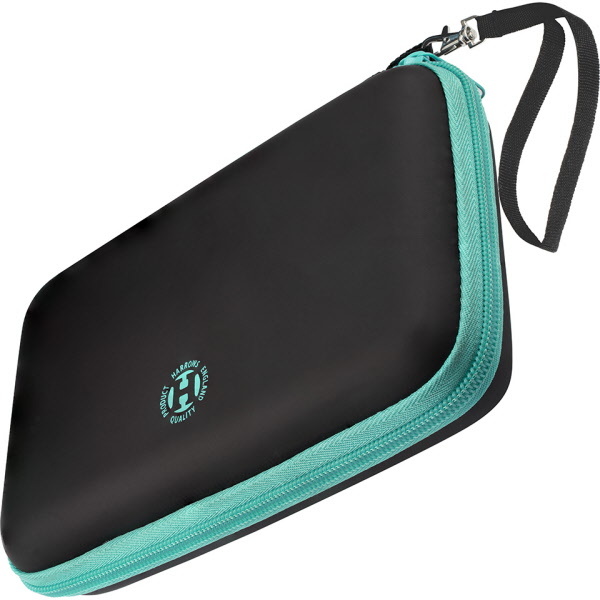 Introducing our new range of colourful and practical Z-series wallets. 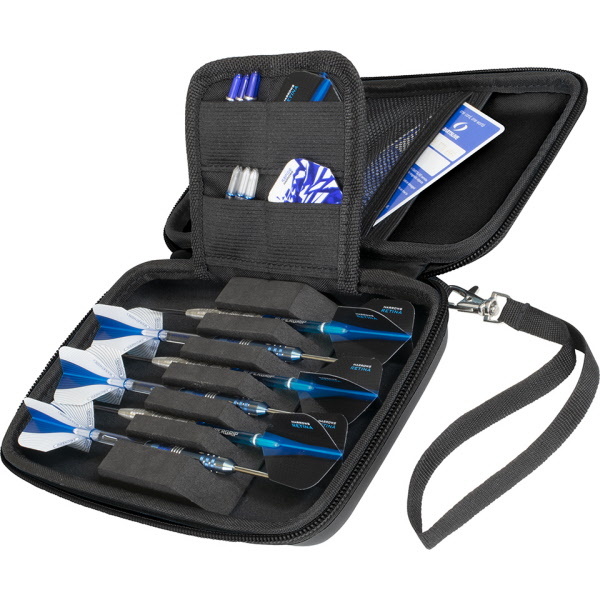 Each one has been designed to hold and protect fully assembled darts. Includes secure pockets for accessories and a carabina clip for belt loop attachment. 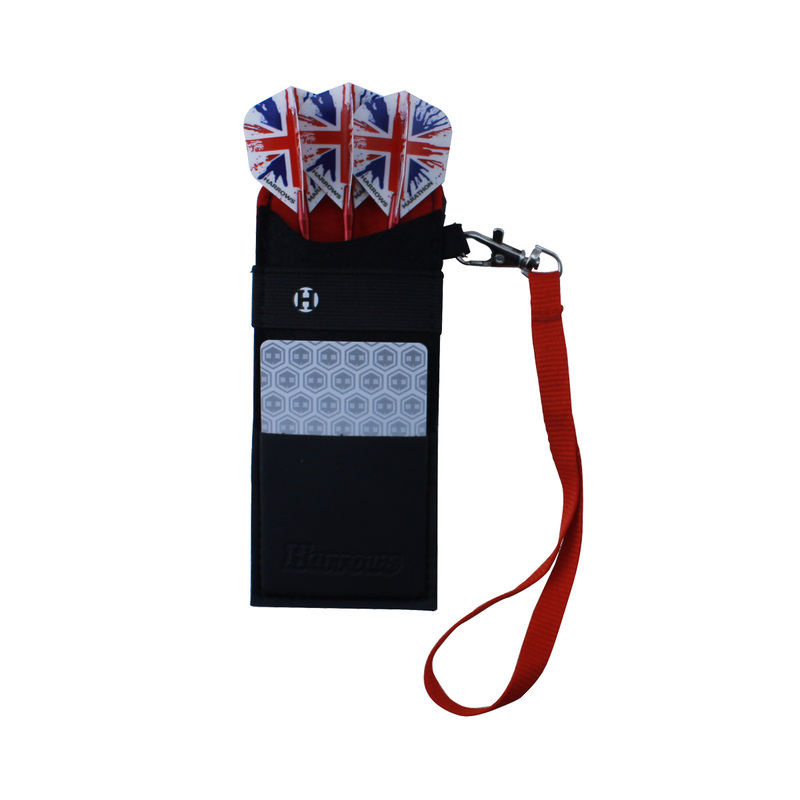 Dimensions: 210mm x 110mm x 30mm. 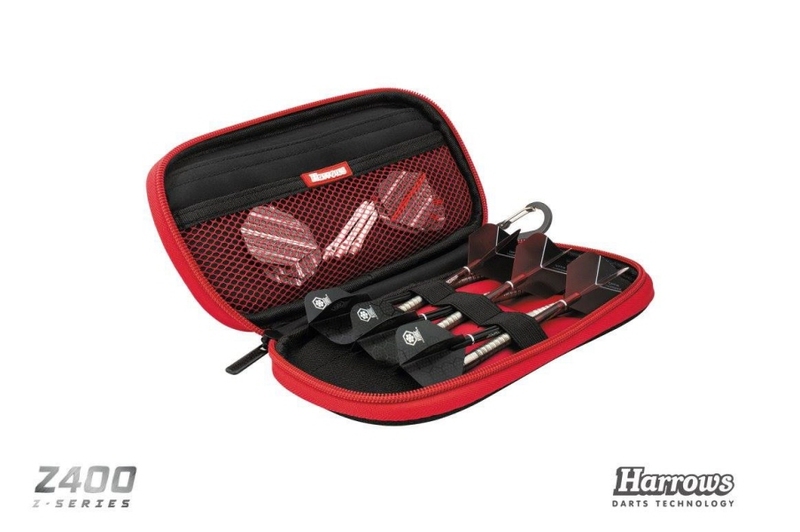 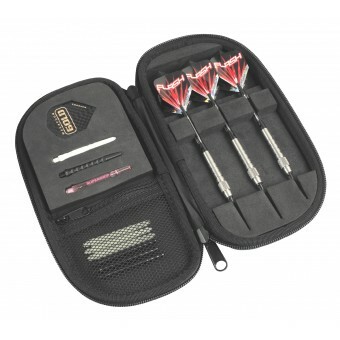 Holds 2 sets of darts and features 2 full width accessories pockets. 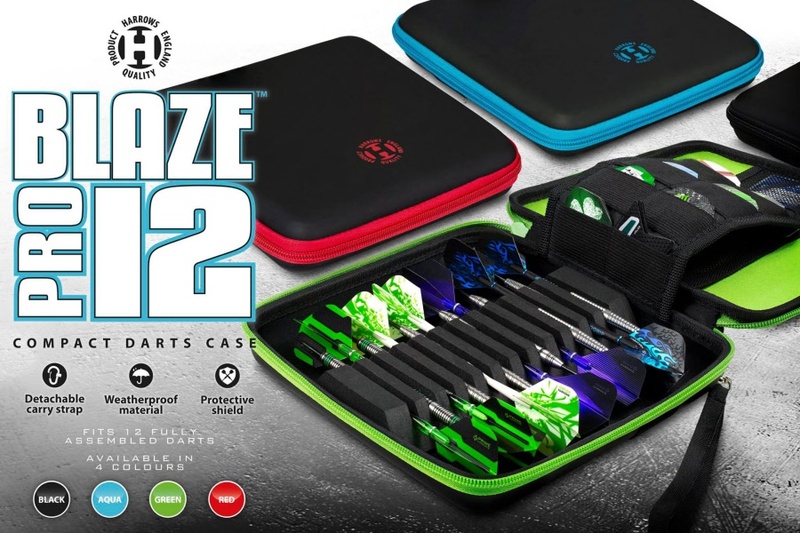 Released last year, the original Blaze Case was hugely successful. 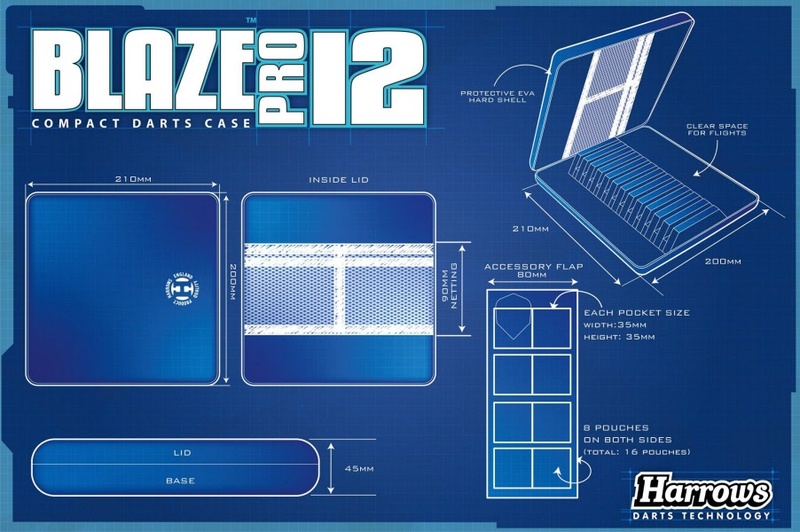 We have now extended the original design to accommodate more darts and accessories. 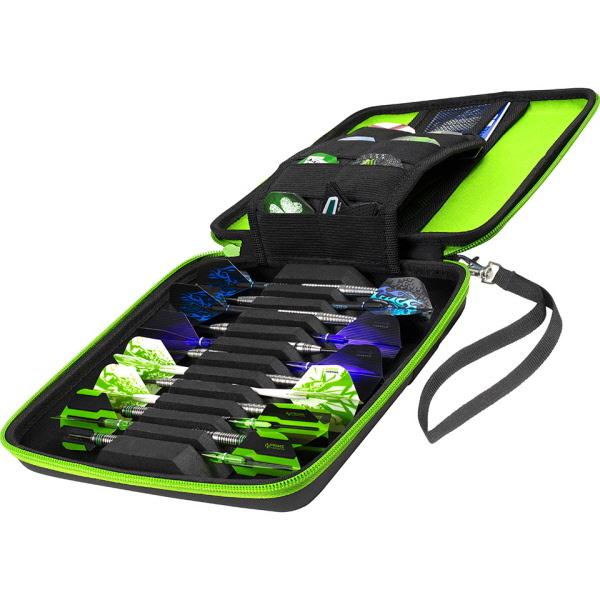 They are available in Black, Green, Aqua and Red.